← Hiab Hire – Brighton to Portsmouth (Abnormal / Specialist Load)… we take away the worry and responsibility! “Prove you’re safer, smarter and greener” is what the website says when you first hop on. We love this notion! Having clean, smart, and modern vehicles, coupled with highly trained drivers, is an internal requirement our Directors and team have always ensured Sussex Transport adhere too. Health and Safety, as well as fleet and process enhancements, are tasks our compliance team pushes hard right across the business. Best practices must be followed in every area of Sussex Transports operations. These fundamentals made the decision to head for FORS Bronze & Silver (and most likely Gold in the near future) very easy indeed. So… right from the horse’s mouth. 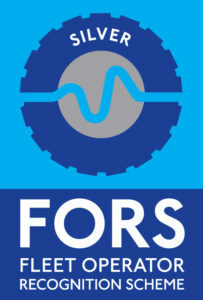 What is FORS? 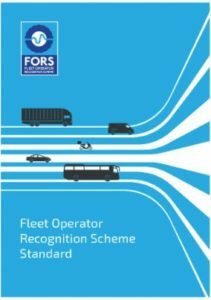 “The Fleet Operator Recognition Scheme (FORS) is a voluntary accreditation scheme for fleet operators which aims to raise the level of quality within fleet operations, and to demonstrate which operators are achieving exemplary levels of best practice in safety, efficiency, and environmental protection. Becoming a FORS member can bring you the peace of mind that your company is managing its work related road risk (WRRR) – and demonstrates to your customers and supply chain your commitment to exceeding the industry standard.“(https://www.fors-online.org.uk – Feb 2019). The FORS accreditation requirements continue to change, develop and adapt and it certainly keeps the industry moving forward – not just the wheels! It also keeps our team on their toes, even though they’d like to tell you they are always on top of it (lucky for us, they do seem to be!). We’ve recently upgraded our system to the latest version (v5) and look forward this years Silver audit. Until we go for Gold!….. This entry was posted in Delivering to..., News, Where are Sussex Transport going..., Where are Sussex Transport... and tagged FORS, FORS accredited haulier, FORS Bronze, FORS Gold, FORS Silver, FORS Transport company, London. Bookmark the permalink.